A year from today (approximately), on Saturday November 13, 2010, I hope to be stepping off a plane and breathing in the humid, tropical air of Peru. 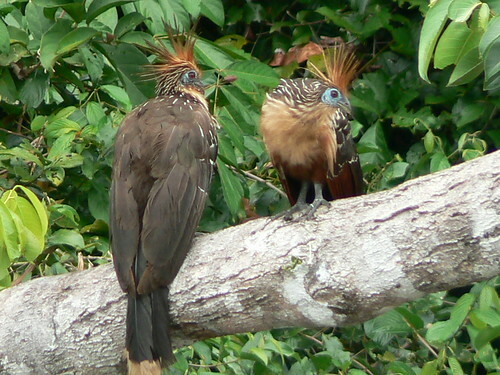 As regular readers know, I have been offered an opportunity to travel with Kolibri Expeditions to southeastern Peru. 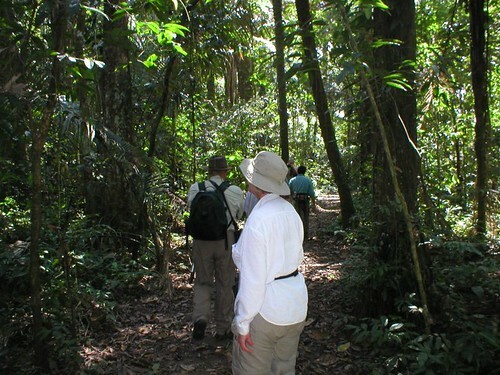 The trip is an 8 day birding tour of the lowland rainforests adjacent to Manu National Park. My particular departure will start on the Saturday, and wrap up on the following Sunday, just prior to the American Thanksgiving. I’m hoping to entice a few adventurous birders, bloggers or travelers to join me on what should be an exciting trip. We ideally need 5 people, besides myself, to make the trip a go (the trip could run with fewer, but individual costs would be higher). 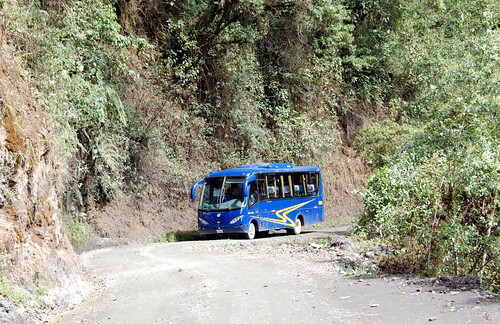 The tour will be visiting areas associated with the Amarakaeri communal reserve next to the national park. The Peruvians who live in these communities are poor, and the primary source of income currently is through exploitation of the local natural resources: logging, mining, and oil. Kolibri Expeditions is working with these communities to develop ecotourism as a viable sustainable alternative to non-renewable resource extraction. Although the natural resources are more lucrative in the short term, it is hoped that the communities will embrace the long-term benefits of preserving the ecosystems for tourism. Ecotourism would also have the effect of encouraging the natural resource extraction operations that are already taking place to become more eco-conscious, as they will be under greater scrutiny from an environmentally-minded crowd. The Kolibri trips will serve a dual purpose. The first is that a contribution from each traveler’s tour fees will go directly to the community for use in developing facilities and training local workers. Currently the infrastructure in the Amarakaeri communities is minimal – these won’t be 5-star lodges you’ll be staying at on the trip. Previous tours have camped in school shelters, for instance. Obviously it’s difficult to promote ecotourism to affluent countries when the facilities are rustic (by the visitor’s standards) at best. And yet, it’s hard to get enough money to be able to afford to upgrade the infrastructure without the tourists coming in. Kolibri has been working hard to help contribute toward the necessary funds for the projects. If every tour currently scheduled on the webpage for this trip goes out with 5 participants, a total of $5000 will be raised for the communities. 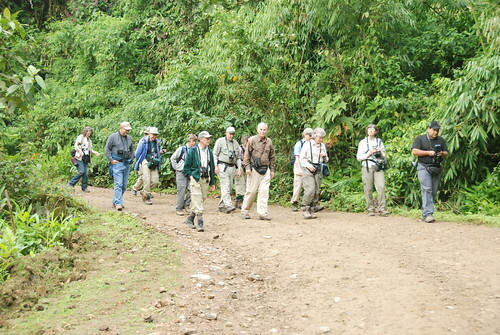 The second effort that Kolibri has been making with this trip is promotion of the region as a destination for birding. This is a large part of the reason for inviting bloggers on to the tour. The agreement is that the bloggers will post about it preceding, during, and after the trip. Kolibri is in the process of working out satellite internet service that would allow the blogger to “live-blog” the trip from the rainforest, providing a day-by-day report of the latest highlights, and then following it up with a more complete summary after the trip. If tour participants also happen to be bloggers, they would receive a $100 discount on the price of the trip in exchange for at least one post-trip report on their own blog (honestly, though: if you were going on such an amazing trip, how could you possibly not post about it upon your return, $100 incentive or no?). The Amarakaeri Communal Reserve is a 402,335 ha area that was designated as protected land in 2002. 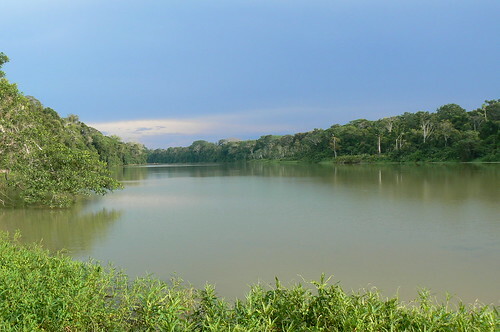 It is part of a conservation corridor that includes protected areas from Bolivia and Brazil. ParksWatch, an international non-profit based out of Duke University that helps assess Central and South American parks to advise park management decisions, designates the Reserve as Threatened, meaning that under current trends and practices there is a high risk of failure in the park’s ability to conserve and maintain current biodiversity levels over the medium-term future. 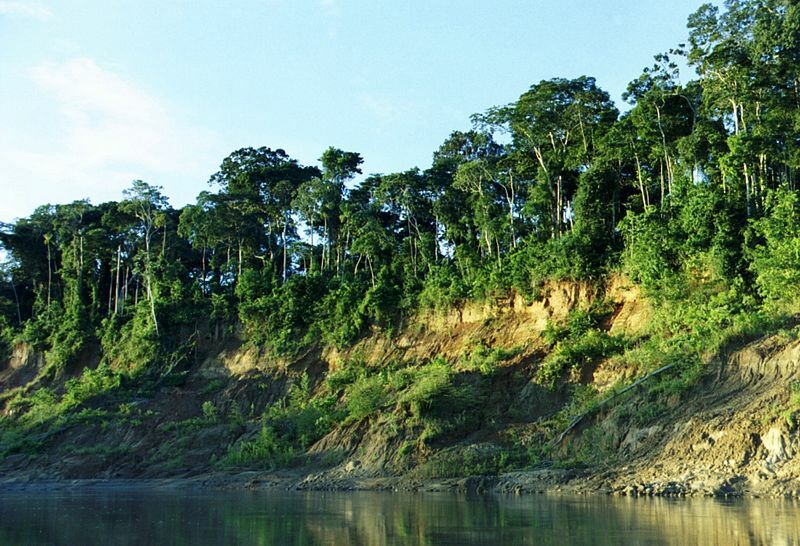 Current factors affecting the Reserve’s viability include gold mining, illegal logging, and human pressures such as hunting and forest resource collection (eg., palm fronds) by a population increasing through migration. Although the macro-fauna and -flora of the area is fairly well-documented, there has been very little research undertaken in the Reserve to either study the local macro-species in more depth, or to document more of the micro-species. 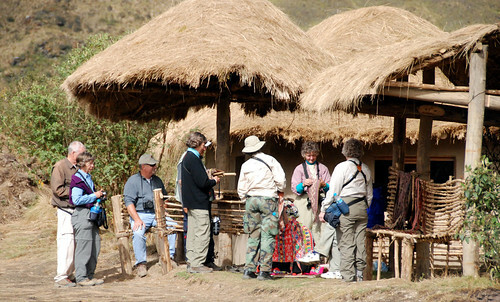 An advantage of a strong ecotourism industry and the facilities necessary to support it is that often research institutions such as universities or museums will use lodges as a base for local research operations, especially when first beginning to explore and research new areas. By establishing a good infrastructure in the area, it may encourage more research on the local species and habitats. My departure dates are November 13-21, 2010. I would love for you to join me on my trip, but if you want to go and the November dates just don’t work for you, you can still participate on one of the other departures. The cost is $1680 (or $1580 if you’re a blogger) plus airfare from your local international airport to Lima; this covers everything but your personal expenses such as souvenirs. For more information, including an itinerary, and/or to sign up for the trip (you know you want to!) visit the Kolibri Expeditions tour page. I can sympathize with that sentiment, Jason. I really wish I had both the knowledge and the sense of appreciation that I have now when I visited Ecuador back in university – what a different world I would have seen! It’s definitely a tough time to drum up participants for leisure activities, especially expensive ones, because of the economy, you’re not the only one to have lamented the state of things. Here’s hoping things perk up and you can make it, though! It would be a great trip. Lemme make a pitch to my Better Half, Seabrooke. Our mortgage payments are half what we used to pay for rent, so we should be able to afford it. And I could use a good vacation… somewhere warm… with birds and camping! I don’t remember ever getting a notice on this comment, Lavenderbay. I just now happened to be re-reading the post as I’m writing another entry about Peru and discovered it. I would be absolutely delighted if you and e.g. could come! I missed getting a chance to meet you in person back in Toronto. I think it should be a really fun trip; hopefully we get enough people for it to go. How did your trip go? Whats it like there?